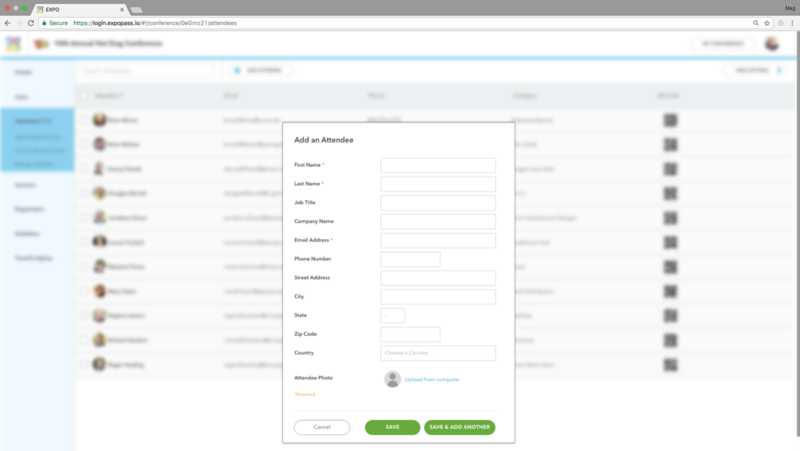 If you build your event, they will come...but you need a way to keep track of your attendees. We’ve got you covered with an easy way to track, update, and even print badges for your Event Attendees. There are a few different ways to add attendees to your event. When you use Expo Pass for Registration, new attendees that register for your event will automatically be entered into the Attendee section. No extra steps are needed from the event organizer! Click on the “Upload Attendees List” and upload a CSV file that contains all attendee information (first, last, address, city, state, zip, email, company, job title). When uploading all Attendees at once, you will be asked whether or not you want to use a Custom Attendee ID Number. 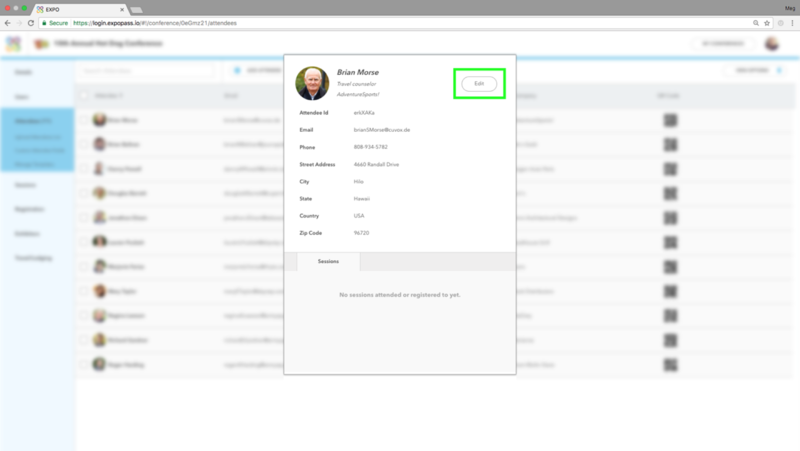 If you are using a different platform other than Expo Pass for your Registration and that Registration identifies your attendees with it’s own unique ID, you may choose to identify them in the Expo Pass' system using that same ID.Ensure that you include the unique ID in the CSV file you are uploading to the Expo Pass system (in it’s own column). If your registration does not provide a unique ID, Expo Pass’ system will automatically create one for your Attendees. If you are using Expo Pass as your registration platform, the system will automatically create Unique ID’s for your Attendees. Please note that you cannot mix and match Unique IDS from one system to another. If you choose to use Expo Pass’ unique IDs, you must use them for all Attendees, and vice versa if you choose to use a different system’s unique IDs. 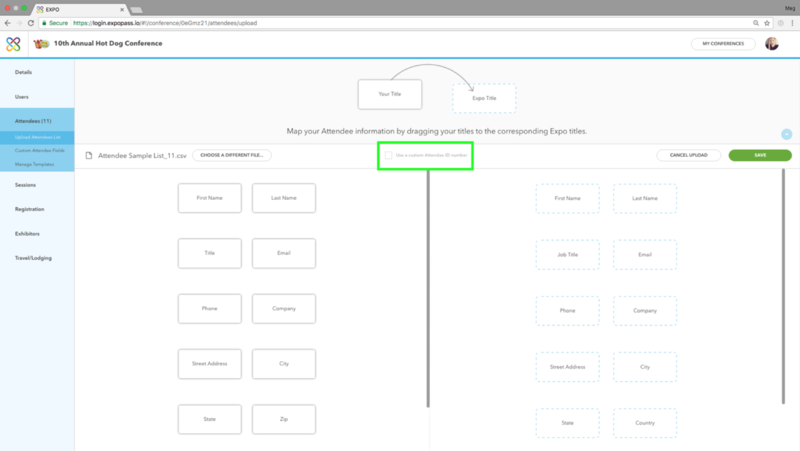 Click on the “Add Attendee” button on the top center of your dashboard and the below form will appear. Here you can manually enter the attendees’ information and get them added to the event.